What price ‘ethics’? 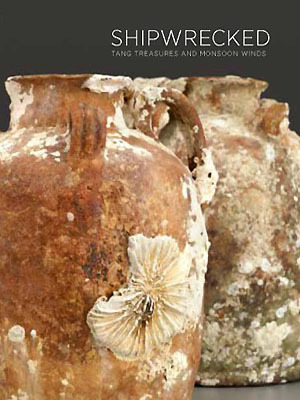 : Singapore’s collection of shipwrecked-artifacts in the news, again. Ah, it’s not often that Singapore’s arts/heritage activities get into the global news. So the news printed in today’s Straits Times is good news then?? Not. The Straits Times reported in the article ‘Controversy over Sentosa group’s $40m Tang artefacts’ (page A4) that the ‘Shipwrecked’ exhibition now on at the Singapore Art/Science Museum is due for a show in Washington DC, where some objections have been raised (click ‘here‘ for a summary). Some scientists/archaeologists are questioning the ‘ethics’ behind the raising of the artefacts from Indonesian waters. All the news articles I’ve found agree that the private company who carried out the recovery of the 60,000+ artifacts was ‘licensed’ by the Indonesian government. So ‘looting’ is not part of the problem. The problem, according to the nay-sayers, is that the quick recovery meant that serious ‘archaeological standards’ were not strictly adhered to, and therefore important archaeological information had been lost. In their self-defense, the salvage company said that they did have an archaeologist on the project (a Dr Micheal Flecker, who has a PhD from National Uni of Singapore, no less), and that the worsening conditions at sea and the threat of looters forced them to work fast (click ‘here‘ for a common example of the frequent looting of shipwrecks in Indonesia). There’s no official comment from Sentosa, the owners of the artifacts. But I’m sure that for the tens of millions that they had paid for the 60,000+ pieces, their lawyers must have gotten them airtight ownership of the stuff, and that even the Indonesian government must have approved of the sale to Singapore. So, what’s the real problem again? It’s not about the law being broken. It’s simply an issue of ‘archaeological ethics’ that the Americans are not comfortable with. Not wanting to side with anyone, I wonder if these same archaeologists would be happy to ‘conform’ to their ‘ethics’ and prefer to watch their compatriots work slowly (as demanded by the required academic rigour), while the faster, non-ethically-bound looters steal stuff from right under their noses? ?